Ibrahim Mohammad Saeed earns only Dh5,000 as a salesman, but his passion and love for the UAE has helped him stitch up a 6km long UAE flag worth Dh105,000. The Abu Dhabi based Afghan has placed the national flag with the help of his friends on a boundary wall along Dubai-Abu Dhabi highway, as his tribute to the country that has given him everything. “My father has lived here for 48 years and I have worked here for 14 years now. 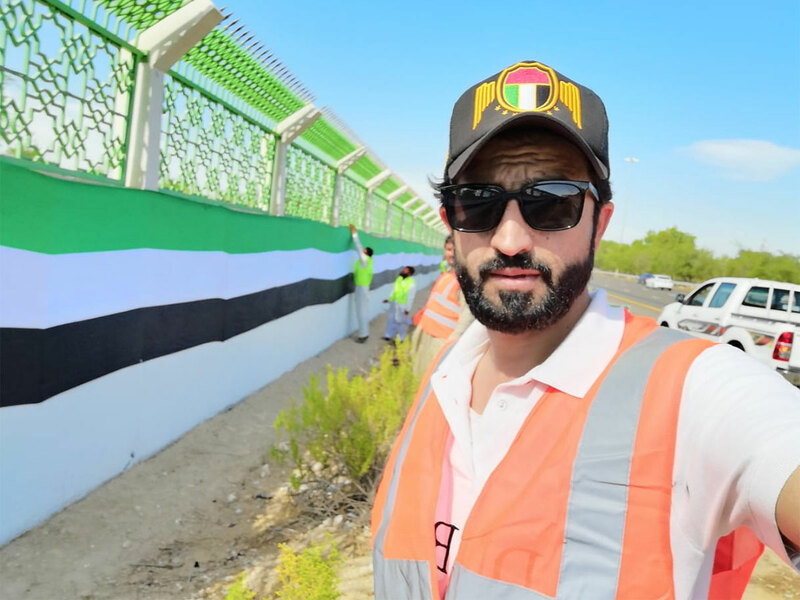 All we have is thanks to this country, that is why I wanted to do something to give back some love to the country,” said the 33 year old Abu Dhabi based expat. The flag, which is made of six kilometres each of black, red, green and white fabric, was actually completed last year, but couldn’t displayed for the National Day in 2017. “We completed the flag just a day before the national day last year so we couldn’t the necessary approval from the authorities to post the flag. So we got the clearance in advance this year and placed it on the wall in Shahama today (December 1) ahead of the national day,” said Saeed, whose aim was to create the world’s longest national flag, but he is not sure he has achieved his goal. Around 30 people worked for 30 days to stitch the flag together, while around 50 people came together on Saturday morning to install the flag from 6am to 6pm. “I thank all the people who supported through this project. Especially my father and some of my friends who pooled together money to cover the cost of the project. 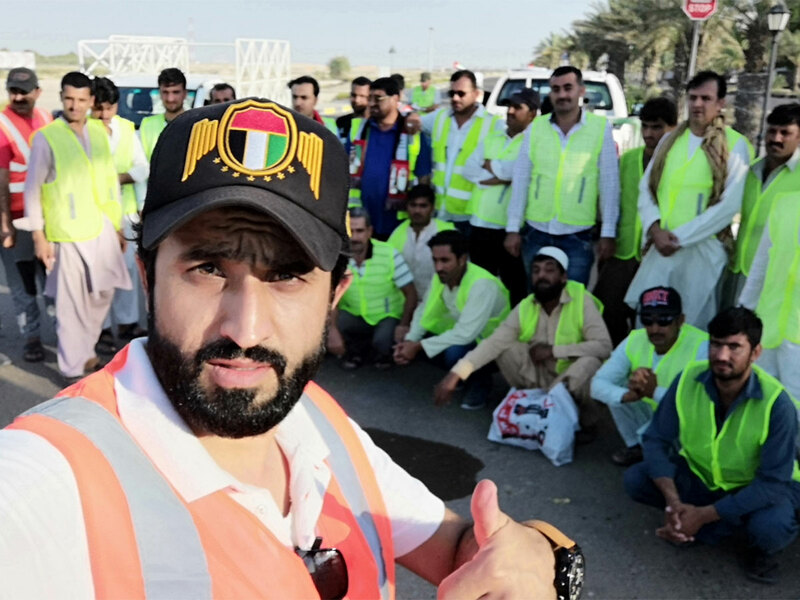 I also to thank the authorities for granting permission and workers who volunteered to help install the flag,” said Saeed, speaking to Gulf News.